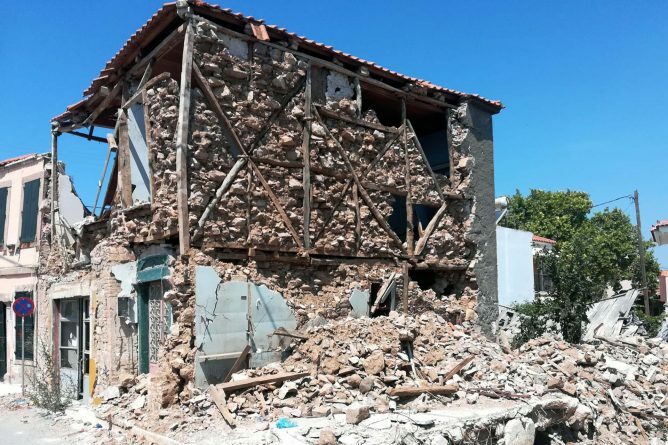 Dr Nikolaos Karydis, director of the MSc Programme in Architectural Conservation, visited the island of Lesvos, to study the behaviour of vernacular structures in the recent earthquake (6.3R). There, he discovered the use of an advanced earthquake-resistant system. 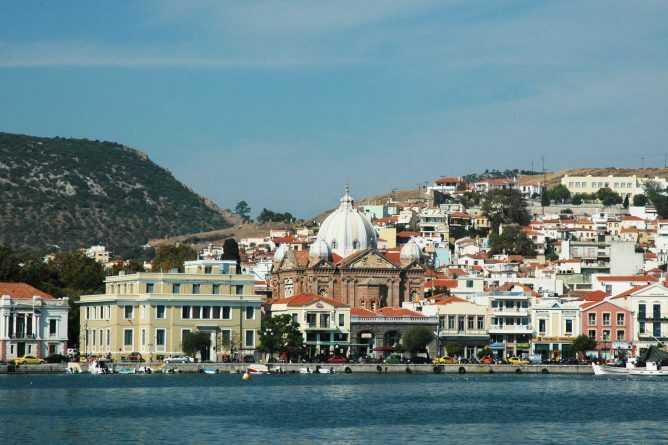 This discovery has major implications for the forthcoming repair of historic buildings on Lesvos. 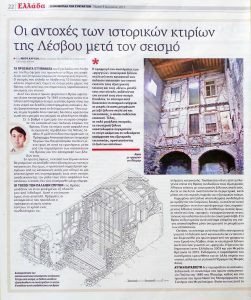 Preliminary research findings are summarised in the article published on 3 August in Greece’s “Journalists’ Newspaper” (Εφημερίδα των Συντακτών). 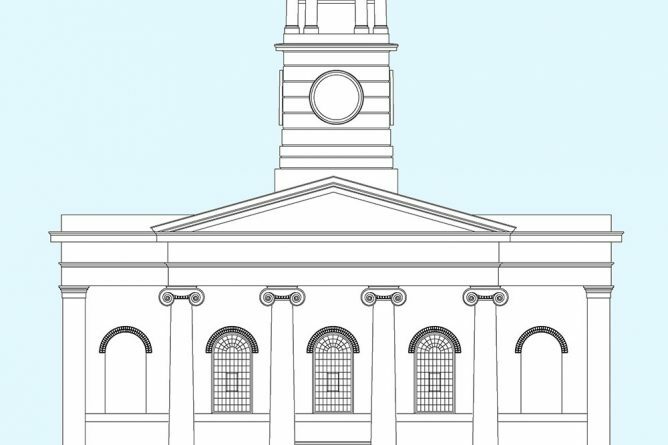 The students of the MSc in Architectural Conservation have worked under the direction of Dr. Nikolaos Karydis on the restoration of the Regency Dockyard church in Sheerness-on-sea. Designed by George Ledwell Taylor in the 1820s, and one of the few remaining historic dockyard churches in the UK, this monument was tragically destroyed by fire in 2001. 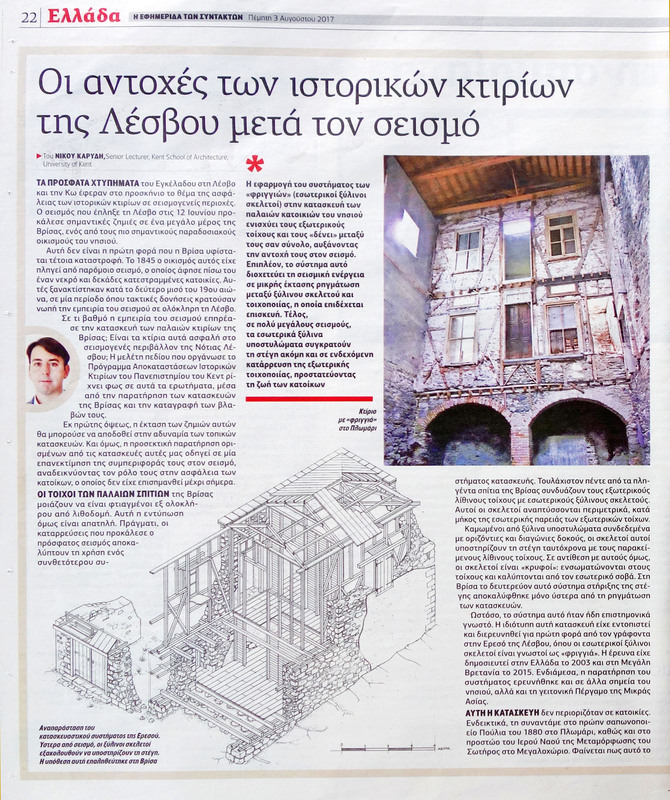 The students’ work on the restoration of the building reveals its significance and shows how to recapture it.